Sat., Sept. 16, 2017, 8 p.m.
Nope. 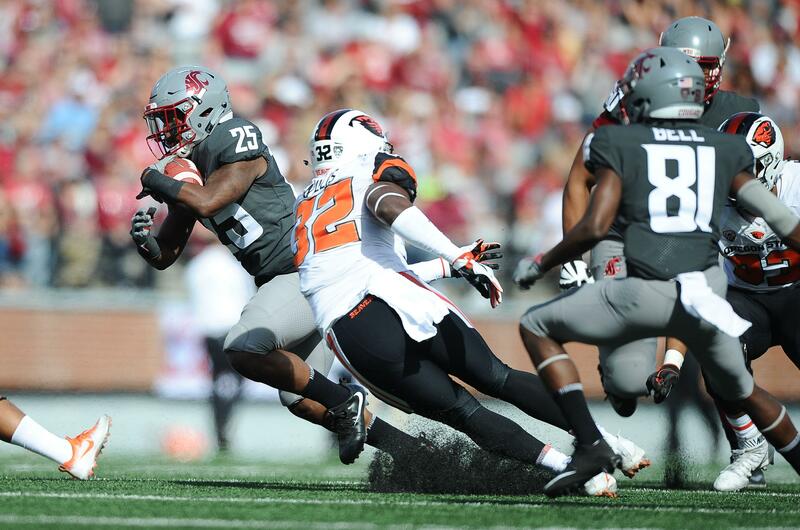 After one quarter, Cougar running back Jamal Morrow got his only two touches on a pair of short receptions, and the only ball carrier was quarterback Luke Falk, thanks to a sack. Finally, with 11 minutes left in the second quarter, James Williams went off left tackle for 24 yards to help the Cougs extend their lead to 14-2. By halftime, the stats were as one-sided as it gets, even for the Air Raid: the backs combined for three carries while Falk was 22-for-30 for 199 yards and four TDs. Published: Sept. 16, 2017, 8 p.m.